So dry branch lovers how are you doing today? A lot of you loved the vase idea from my last fetish post, do share your vases with all of us if you happen to try it out. 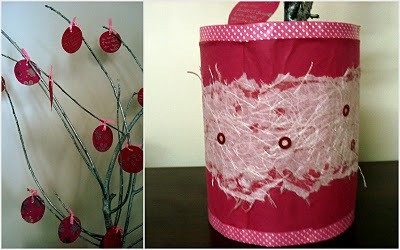 Remember Sara's first birthday where I used some dry branches to make a wishing tree. It was such an easy thing to put together. Her 2nd birthday also seems like a distant memory and soon she will be three..slow down Sara. Coming back to dry branches, some ideas in the same line. Enjoy. 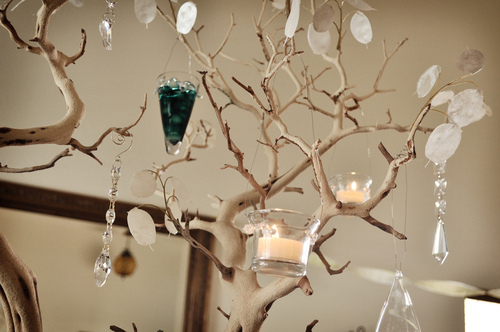 How about hanging some crystals & tealights for a glam evening? Wouldn't this make a stunning centerpiece? 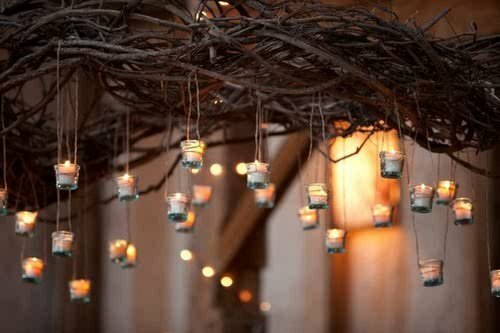 Or have them on the top with the twinkling tealights floating in the air. Dream. I SO want to try this out in my little balcony when the weather is just right with some wine & music. If you have missed any of my earlier fetish posts, jump right here. ooh she is growing so fast! cant wait to see what u will put together this time!